One of my favorite writers in Spain, Sue Eatock who lives in Grazalema – Andalucía, has been studying the wildlife in her area for more than 10 years now. 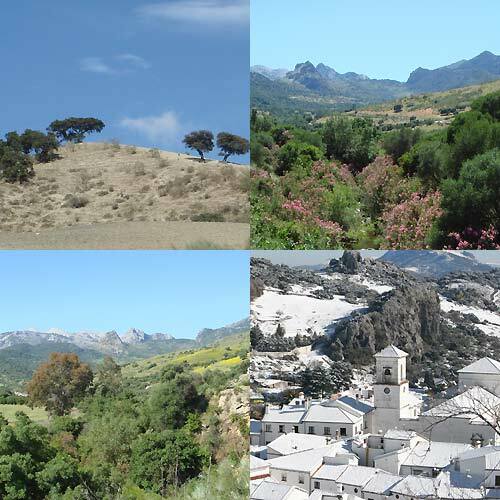 In one of her latest articles she explains why Grazalema gets the highest rainfall in Spain. “Grazalema has the highest rainfall records in Spain’. This is a phrase that is commonly found on the internet, but without further explanation could be very off putting to the holiday maker! Mountains will always alter their local climate where-ever they are in the world, and this is no exception. Note that only a few hours drive away at the eastern end of Andalucia is Europe’s only desert!